Leicester explosion Charges Made by Police! 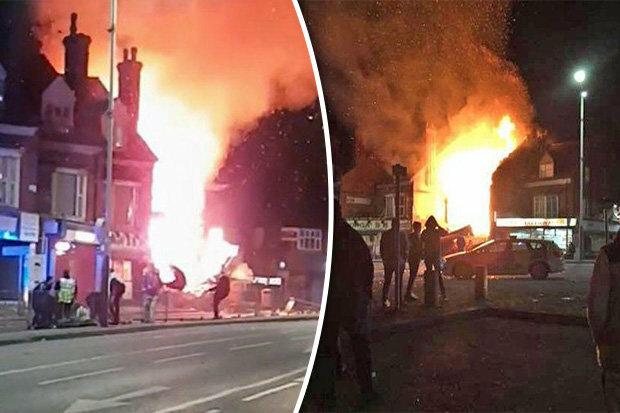 Three men have been charged with manslaughter and arson over an explosion in Leicester that left five people dead the Police have said. Three members of the same family died during the explosion with another two deaths and injuries. Arum Kurd of Leicester, Hawkar Hassan of Coventry and Arkan Ali of Oldham, are up in court on Monday. Two other men, both from East Anglia who were detained on Friday remain in custody and are continuing to be questioned by detectives. Read: "Shots fired outside White House"